The internet is a massive place these days, with billions of websites and even more web pages to browse at your leisure. It is painfully obvious that no one has enough time to view all that the internet has to offer, but search engines like Google have had to build platforms that index and list all of these pages – and update their rankings at regular intervals. This back-breaking work is done, thankfully, by search engine spiders, crawlers and other automated tasks that for the most part do an excellent job. Sometimes, however, your website or some of its pages may fail to be picked up by these automatons. How can you avoid this fate, or if you already have experienced it, correct any errors? In the following article, we will outline a few simple procedures you can enact to ensure that all of your pages are successfully indexed by Google. Any website is bound to have some errors pop up after months of years of existence. When you are pinging links to search engines in an active fashion, it is virtually assured that they will be picked up by Google and others. When you change certain elements of your website and delete old pages, however, you create the conditions for broken links, duplicate content and inaccessible pages in many places. The best way to monitor and correct these issues is to perform frequent audits of your website, which is especially true if you have dozens, hundreds or thousands of web pages. If your site is relatively new or somewhat devoid of content, then you most likely have issues with SEO and marketing, as opposed to actual errors. 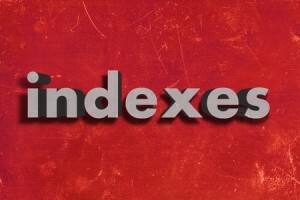 If you currently face a situation in which many of your web pages have not been indexed by Google, then you have a few options to consider. Most of these options revolve around the use of automatic auditing software that will check the continuity of your website and report back on any issues that its finds. Tools such as Website Auditor Enterprise and Brightedge both provide solutions that help webmasters find the underlying problems with their websites’ infrastructure issues and correct them in simple to understand steps. Even if you are not a master at programming or SEO, you can quickly determine what needs to be fixed and how to do so with software suites such as these. One way to ensure that your main pages are all linked together and suffer no negative impact in regards to SEO is to use intuitive menu and linking options provided by content management systems such as WordPress. Anyone who is pinging links will find that the vast majority of their page issues will be resolved with uniform menu configurations that can be updated from a central location. You can also plug each of your new posts or pages via social media to help generate social signals and further increase the likelihood that your pages will be indexed in a timely fashion.